Our Modular and future-proof technology platform delivers an engaging and enhanced guest experience with IoT In-room controls that reduce guestroom energy consumption and lower operational costs. 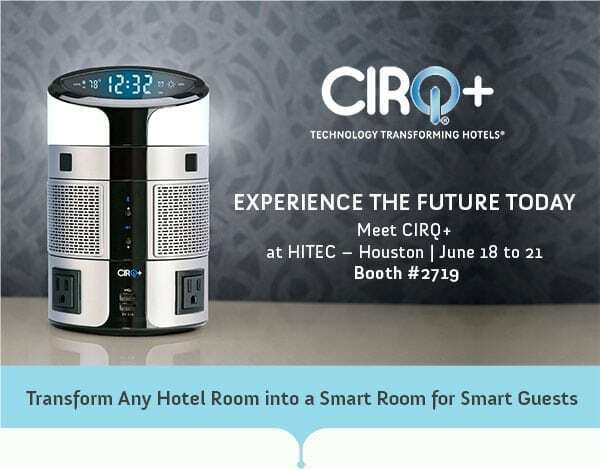 CIRQ+, a hotel technology company comprised of veterans in product development, IoT, High-Tech, and Hospitality, presents the world’s first modular and future-ready platform that bridges the gap between guest comfort and engagement while delivering state-of-the-art energy controls to reduce property operating costs. The wall-to-wall, ceiling-to-floor innovation was developed to offer hotels and properties an easy and cost-effective way to deliver guests’ highly personalized experiences through Big Data analytics and reporting.